Castles are a successful, privately owned independent agency. Established in 1981 we have over three decades experience in providing quality estate agency. With eight offices spanning North and East London as well as Essex, we are market leaders in these areas offering a comprehensive service incorporating residential sales, letting and management, and surveys and valuations. We provide a highly professional service with strong, experienced teams; each of our office managers are members of the National Association of Estate Agents (NAEA) or The Association of Residential Letting Agents (ARLA), the UK’s leading professional bodies for estate agency, guaranteeing a proficient service which adheres to strict codes of conduct. Key to Castles ethos is to employ dedicated and committed people who can ensure a stable ‘family’ environment which is also relevant to our clients’ preferences. We also endeavour to appoint staff who are familiar with and able to provide for the particular local demands of each of our offices. 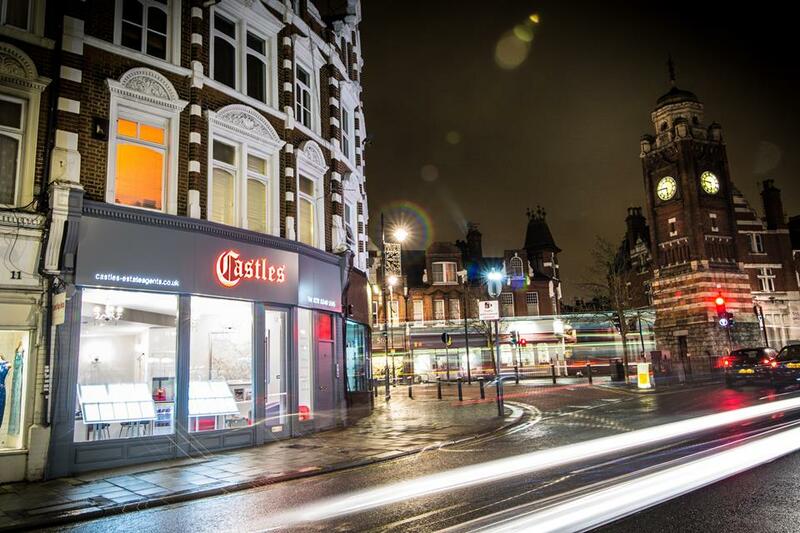 In an industry which commonly experiences high levels of labour turnover, Castles boasts strong, stable, experienced teams, regularly trained regarding market trends, changes to legislation and technology in order to keep ahead of our competitors and maintain work satisfaction for our employees. Castles are also a member of the Property Ombudsman which ensures a fair and independently regulated service for our customers. We maintain a large lettings department dealing with landlords within the UK and abroad, as well as an active survey department cooperating with most high street lenders. We garner substantial exposure for our properties, actively utilising a range of marketing opportunities in promoting our website and widely advertising in local newspapers and through several prevalent property websites including Rightmove, Zoopla and Prime Location. In line with our commitment to offer a bespoke service, we are happy to specialize our marketing and advertising resources in attracting specific, niche audiences. In our efforts to embrace innovation and maintain up to date technical standards we can offer professional photography, A3 property details, floor plans, email alerts, QR coding and a smartphone property app – all to facilitate the easiest path to moving properties. Our dedicated Sales teams have the skills and experience to ensure that your move is conducted in a manner that exceeds your expectations, from your initial contact with us until the day of completion. All valuations are carried out by highly experienced Valuers with extensive knowledge of the surrounding area, operating according to the most recent comparable sales and market demands. We continually provide personal updates and welcome customer feedback both personally and online, endeavouring to understand our customers’ desires and deliver a service tailored to their requirements. Having cemented our reputation as highly competent, committed, trustworthy estate agents, we are more than happy to accommodate instructions for a property portfolio covering the entire market spectrum. Our experience is frequently called upon by associated property professionals (such as surveyors, architects and lenders) for our valued opinions on a wide range of property matters. Castles has also assisted a number of popular televised property programmes including Location Location Location, Escape to the Country, Homes Under the Hammer and Property Ladder. A large chunk of our business is drawn from returning customers and word of mouth recommendations which is testament to our service and commitment, reflective of a successful three decades in estate agency, and promising the highest standard in agency service.